Get in early and watch them grow! 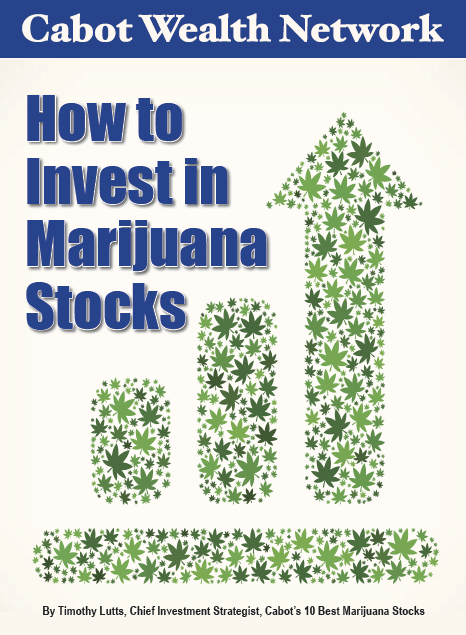 What can you do to ensure that you’re on board the hottest marijuana stocks for the next leg up? Get in on the ground floor of the latest hot sector! We invite you to join us on the path to becoming a better, more confident, richer investor by downloading your free report, How to Invest in Marijuana Stocks, and signing up for our free investing advisory, Wall Street’s Best Daily.